Willie Nelson sang On the Road Again! We Are Living It! The Coach & Maikos are just two sports fanatics on the road again doing a LIVE REMOTE at Vaden Chevrolet Pooler on ESPN Savannah 104.3 & AM 1400. As always, we will be discussing national and local sports. Don’t forget, the show is LIVE “On Air Today” from 9 a.m. until 11 a.m.
Additionally, the show will have special guests. So, just check out the lineup below. Furthermore, the Wetherington Chiropractic Clinic – Savannah Athlete of the week will be in the studio. Thus, check out the show, because it all starts at 9 a.m. and will be on the airwaves until11 a.m. 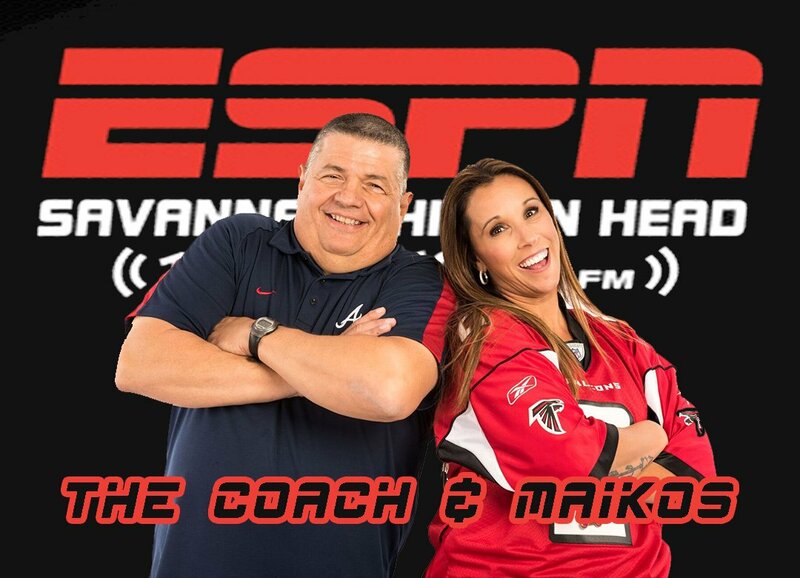 There are a number of ways you can listen to the Coach & Maikos, on the radio at ESPN Savannah 104.3 & AM 1400, the show is always streaming on your computer at http://espncoastal.com/, now on or your smart phones at ESPN Savannah/Hilton Head. So download these smartphone apps right now and start listening anywhere you are.